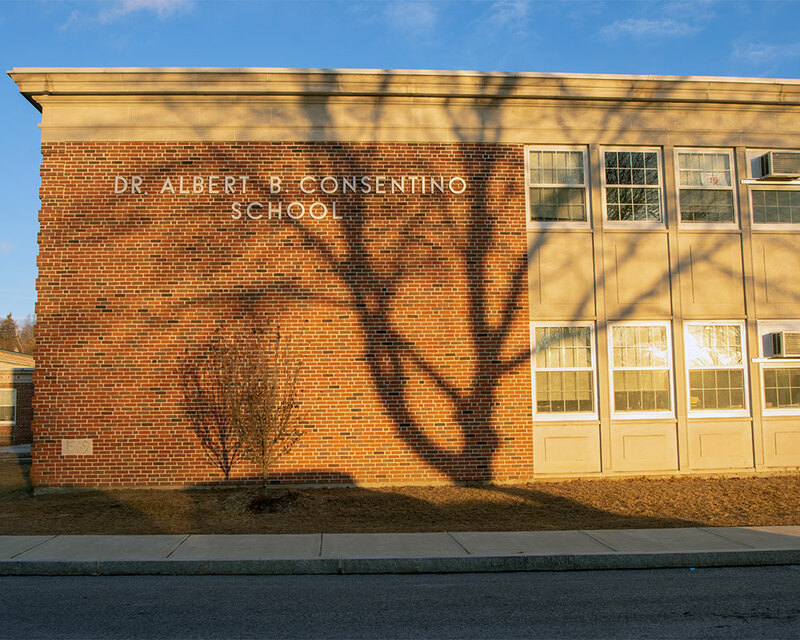 Even though the Albert B. Consentino School is facing imminent repair or replacement, the city will pay $400,000 for “thorough” roof repairs to keep the building in use. Councilor Timothy J. Jordan, a member of the Joint Facilities Committee, told his colleagues Tuesday the figure was preferable to a $2.7 million option to construct a new roof. The goal, he explained, is to contain 95% of the leaks until a new or rehabilitated school is ready in four years. A third alternative—continuous patching—was expected to cost more over the same period. Jordan noted a report that Consentino already has 700 repair patches on its roof. “That’s the best option we have, barring a full replacement of the roof which seems to be, maybe, overkill if there’s still the chance we’re going to have a new school,” he said. The Joint Facilities Committee, comprised of the mayor and both City Council and School Committee members, also agreed to pay $75,000 to $150,000 for removal of asbestos at the John Greenleaf Whittier School. Remediation of the hazardous material is required before heating system repairs may be made, explained Councilor Colin F. LePage, another member of the subcommittee. The asbestos material is in crawl spaces under the school and test results show there is no airborne danger. Mayoral aide Shawn Regan told councilors Mayor James J. Fiorentini is in agreement and will have spending orders ready for the next meeting.